Embarrassing incident, such punishment given to women on marriage in the second caste - HailNewsUp.com provides latest news from India and the world. 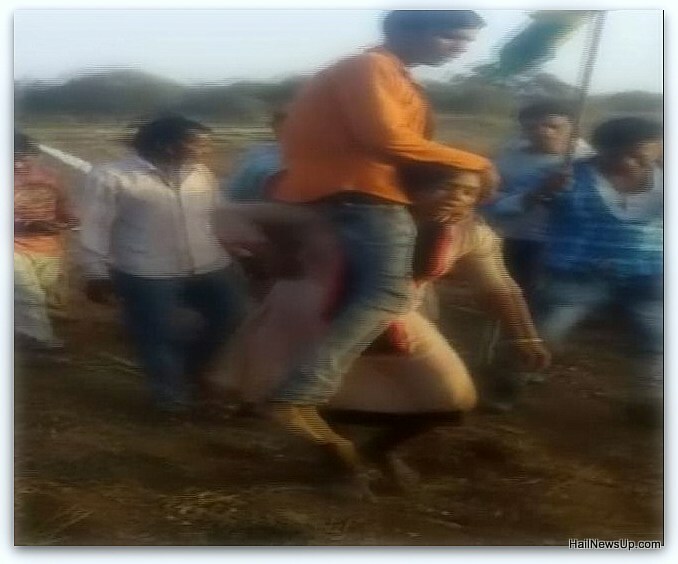 Due to the marriage of a woman from another religion in Jhabua in Madhya Pradesh, the village heard the verdict of carrying her husband on the shoulders. An incident that shocked humanity in Jhabua in Madhya Pradesh has come. Indeed, because of the reason for marrying a woman from a different religion, the village heard the husband's decision to be taken on the shoulders. According to the news agency, the incident came to light after the video appeared. It is shown in the video that a lot of people are gathered around the woman and they are speaking to keep it going like this. As soon as the woman gets tired, people start shouting. The helpless woman starts walking again. Taking cognizance of the matter, the police has registered a case under the sections of the IPC. Jhabua Superintendent of Police Vinich Jain said that some people insulted the woman and forced her to do all this. The case has been registered against all these. They said that two people involved in the incident have been arrested and the other accused are trying to capture them. Please tell that this is not the first incident in Jhabua, even before this one such incident had surfaced in 2017. Even then some people had harassed a 32-year-old woman.